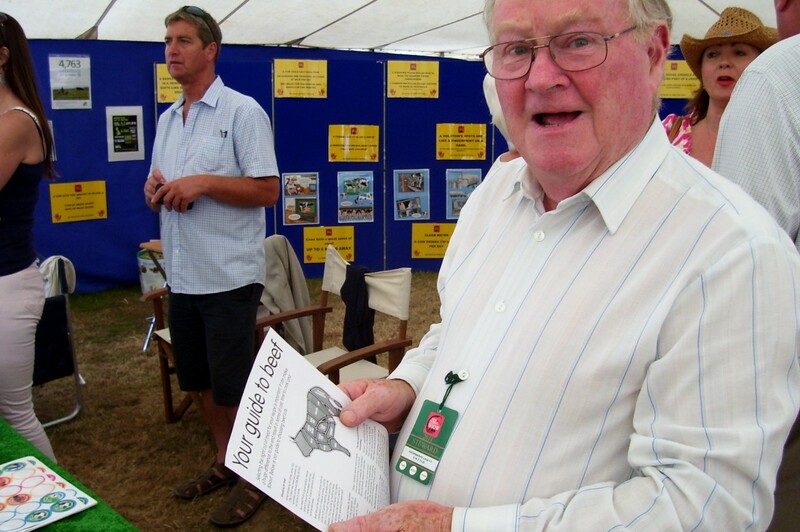 FARMING FACTS: Retired New Forest estate manager Norman Light, shows one of the leaflets that show visitors picked up to absorb knowledge about the dairy and beef industries. MILK MAID: This dairy cow is a black and white Holstein. The breed originally comes from two northern provinces in Holland and the state of Schlieswig Holstein in Germany. 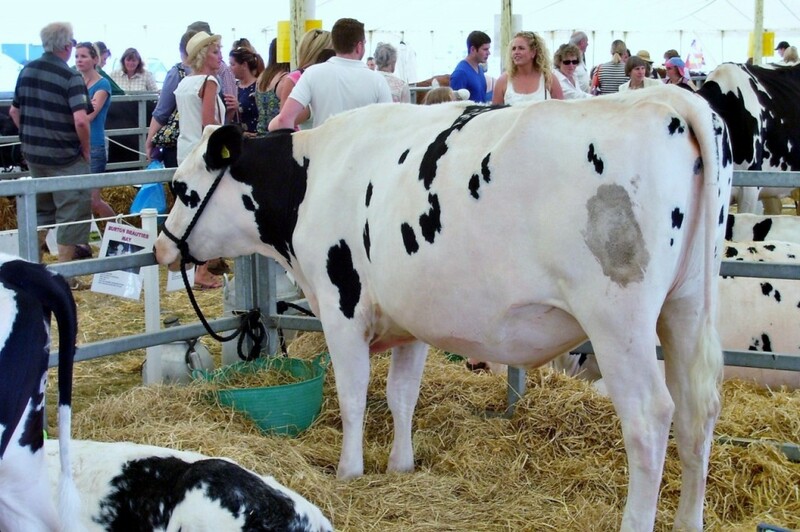 The breed is the one of choice for many dairy farmers in the UK. Two Holsteins will not have the same pattern of spots on their back. 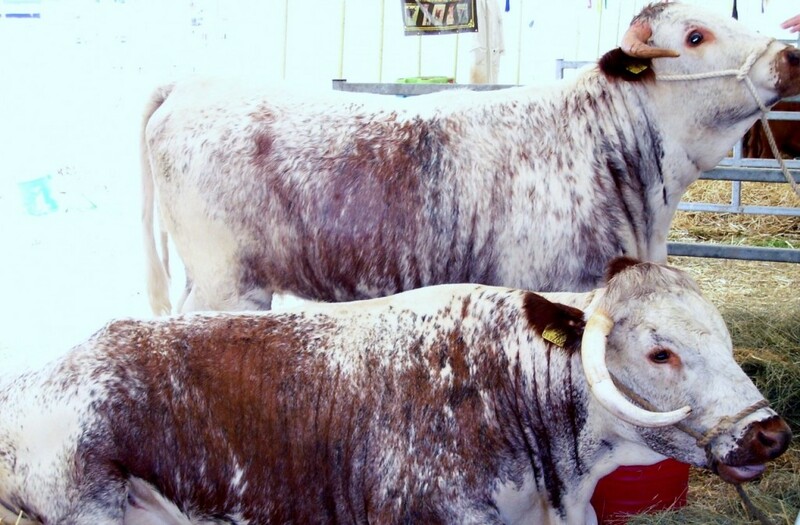 LEAN BREED: The English Longhorn is a versatile breed of cattle, mainly in the beef industry but in the past the high butterfat of its milk was used to make famous cheeses such as Stilton and Red Leicester. The breed is also known for its docility, length, longevity and calving ease. 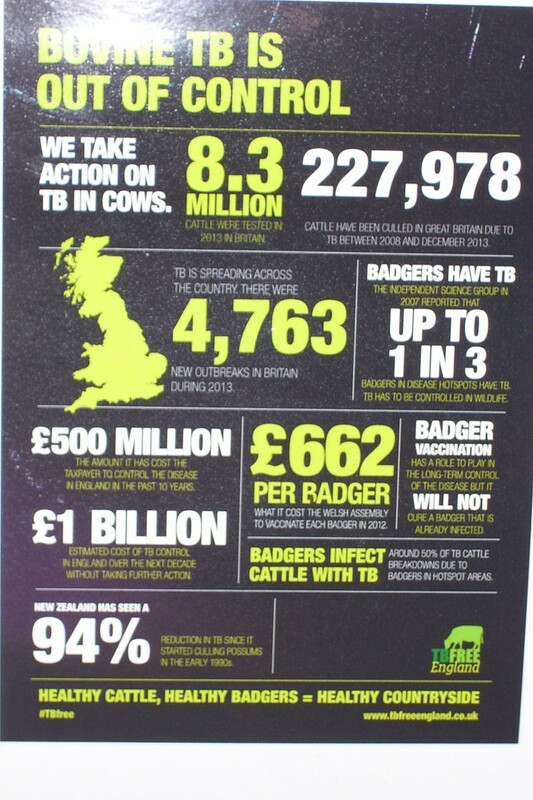 DAIRY DATA: A series of facts on this poster show the scale of bovine tuberculosis on the dairy industry. LIVESTOCK farmers made a special effort at this year’s New Forest Show to tell children teaches and the wider public how they look after their animals. The amount of information they put on display to inform schools and the wider public has been increasing year on year and it has been as an attempt to bridge the divide between the urban and rural communities. As a former agricultural college student myself, it was very useful being reminded of the basic facts once again but even here there were some things I wasn’t aware of. Dairy cows are eating machines and require food energy to produce milk. They graze for eight hours a day and drink a bath tub of water a day. They regurgitate their food and they re-chew the cud to aid digestion. As well as being the staple ingredient of value added products such as milk shakes, crème fraiche, ice cream, yoghurts and cheese, milk contains four necessary minerals – phosphorus, magnesium, calcium and zinc. It takes five litres of whole milk to produce three and a half litres of ice cream and it takes nine litres of whole milk to make 500g of butter. Before mechanisation of the industry, it took one person two hours to milk 12 cows by hand and now one farm hand can milk 200 cows in two and a half hours. The herd sizes have had to increase to stay economically viable. Just over two million adult cows in the UK produce 14 billion litres of milk or the equivalent of 200 litres of each individual cow annually, so this means the UK doesn’t have to import hardly any liquid milk. A dairy cow has a stomach with four sections. When the food ferments in the stomach it can produce enough heat to keep her warm at sub-zero temperatures. She also produces 200,000 glasses of milk in her lifetime and 11,365 litres of blood pumps through to the her udder to produce 25 litres of milk daily. Her heart also beats 65 times a minute. Retired estate manager Norman Light, who has been part of the education campaign at the show, says it has been really successful. It has been backed up by organisations such as EBLEX that represents the sheep and beef industry, and Natural England. He said: “Two years ago we mostly put out posters for school visitors and teachers and this year it is mostly literature. We’ve given out 2,000 wrist bands to children and we’ve run out. Mr Light took the opportunity to tell this blog that the UK industry is subjected to some of the most strictest tests on antibiotic residues in milk across the EU and food and hygiene regulation is taken extremely seriously by the industry. There is a legal requirement under European law that food business operators must initiate procedures to ensure that raw milk is not placed on the market if it contains antibiotic residues in excess of regulated limits if the business is not a conventional producer. If the producer is organic, they are not allowed to have any antibiotic residues in the raw milk. Mr Light said: “We produce more milk in this country than any other on the Continent. Our milk is a consistent product in terms of its hygiene and keeping quality. “We have to much stricter bacteria and cell counts to comply with. If a lorry comes to the dairy at the milk is above 4’C in the tanker they won’t take the milk for bottling. “Every tanker of milk Is tested for antibiotic residue, and it takes place every day. There are lots of samples and test done on individual farms.